Rajini’s Robo 2.0 is the most anticipated film of the year. Baahubali 2 has made an unexpected victory and crashed all the records before ever. Now, Shankar’s directional venture Robo 2.0 is having a lot of expectations from the audience while Director Shankar seems using the same strategy which has been used in publicising the Baahubali 2. The films Baahubali – The Beginning and Baahubali 2 -The conclusion has been publicised in North India by Karan Johar and AA Films. Both the films have grabbed the record range of collections in Hindi. Now, the buzz is saying that Robo 2.0 produced by Lyca Productions is now handling over to AA Productions for Hindi distribution. And also this is confirmed by Lyca Productions officially. “Glad to announce our association with AA Films. Lyca Productions to distribute the Hindi version of 2.0 through AA films of Bahubali-2 fame,” Raju Mahalingam of Lyca Productions tweeted. The reports state that the project is also to be distributed by Karan Johar. 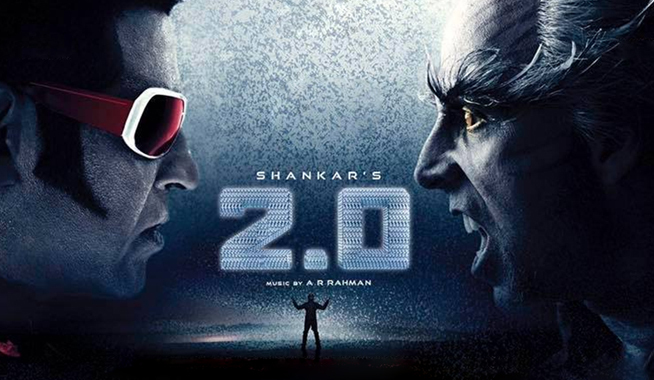 The Hindi version of the Robo 2.0 will be now handed over to the Baahubali Hindi distributors. Director Shankar is taking maximum care in releasing the film. => Katrina Kaif to Replace Priyanka Chopra in Don 3?